The McLaren 720S is undoubtedly one of the fastest and most exciting supercars of today. It may not be as fast as Koenigsegg cars or the Bugatti Veyron, but it's definitely up there. In fact, one of our editors regarded the British supercar as one of the best he has driven in 2017. Among the reasons why the 720S belongs with the greats is the fact that it's amazingly fast – thanks to the engineering magic of its biturbocharged 4.0-liter V8 engine. This power plant can do wonders, and with wonders I mean it can produce 710 horsepower (530 kW) and 568 pound-feet (770 Nm) of torque. 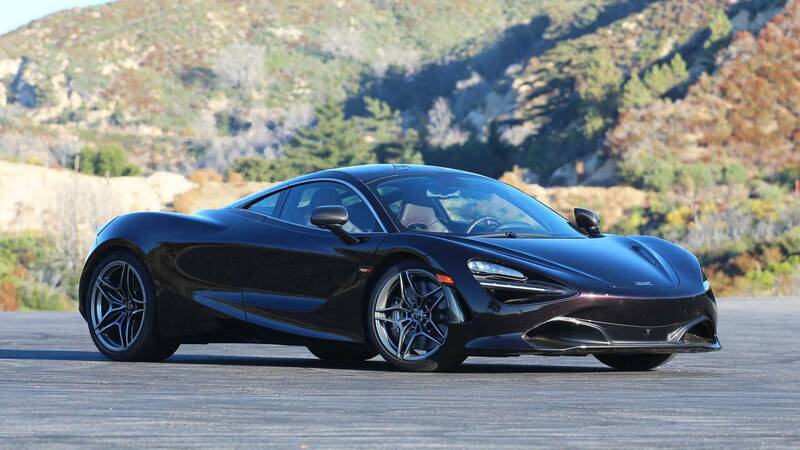 McLaren lists the 720S' top speed at 212 miles per hour (341 kilometers per hour), which definitely puts the McLaren Super Series range-topper among the fastest stock cars of today. That's not it. The McLaren 720 can reach 62 mph (100 kph) from a complete standstill in just 2.9 seconds – that's even faster than the time it takes for a traffic light to turn from yellow to red. Its 0-124 mph (200 kph) is rated at 7.8 seconds. However, it seems like the British marque has been lying about its top speed all along, but in a good way. In a video by Johnny Bohmer Proving Grounds on Youtube, the McLaren 720S was able to achieve a top speed of 215 mph (346 kph). Of note, Johnny Bohmer Proving Grounds uses Olympic Grade Tag Heuer laser traps and Garmin GPS system in measuring speeds, which explains the discrepancy between their read out and the car's speedometer (not seen on the video). With that said, McLaren's top speed might not be a lie after all. Maybe it's just a matter of discrepancies with the instruments used to measure the speed. Besides, this isn't the first time that a manufacturer "lied" about its top speed. The BMW M850i is declared to have a top speed of 155 mph (250 kph). However, we found a video that shows that it can do 161.5 mph (260 kph). Watch the video on top of this page to see the top speed run of the McLaren 720S.